I do not have any incoming dolls. I’m not that excited and stalking the post carrier every time they come to my door. I’ve been very busy with work lately – it’s been a never-ending cycle of work, sleep, work, sleep, work. Which is both good and bad, mostly because work is good, and it allows me to afford things like Blythe! 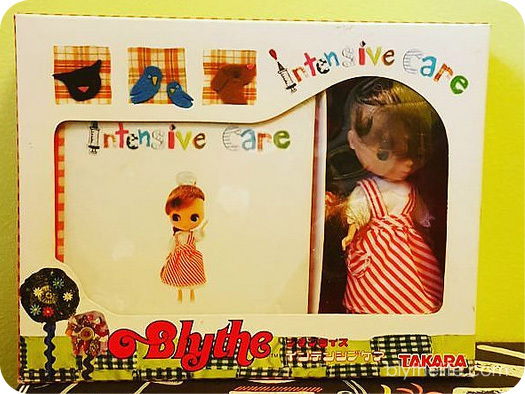 I have a NRFB Petite that I will be unboxing soon – I bought myself the Intensive Care Petite Blythe (she comes dressed like a little nurse! ), who is themed as an animal/veterinary nurse and comes with a book. I’ll be unboxing her soon and then sharing that experience soon. I’ve been holding off on it because I really want to have the time to sit down and enjoy the unboxing since I’ve never unboxed a Takara Petite Blythe before. I also have two books coming to me. The first is Dollybird Vol. 23, which has a feature on BlytheCon Vancouver. I didn’t know there was going to be a write-up about BlytheCon Vancouver, so I’m really excited about that. In case you’re relatively new to BlytheLife, I was one of the four organizers for BlytheCon Vancouver. It was quite literally years in the making and like a blink, it was over. We were able to make a fantastic donation to the Orphaned Wildlife Rehabilitation Society on behalf of the BlytheCon Vancouver attendees. If you’re in the Metro Vancouver area, O.W.L. is having an open house to showcase their rescue efforts and some of their resident/educational birds on April 23 & 24, 2016. The second is a book released by someone that I met and befriended in Vancouver last August, Satomi of HANON. Luckily for me, she’s releasing her DOLL SEWING BOOK – HANON in Japanese with English translations. I’m not sure what I would do if the book was only in Japanese (it’d probably just hang out on my shelves with my Doll Coordinate Recipe books? ), but I’m looking forward to this because I completely spaced on buying one of her dresses or patterns at BlytheCon Vancouver. It feels like a second chance to owning Satomi’s work. I’m still going through all of the comments that BlytheLife received in the month of March – and there were a lot! I’m filtering out and removing all the spam comments, but it does take time. Once I’m done that, I’m going to draw a name or two for the winners of that lovely little giveaway I promised all of you. I will be sharing photos of the prize and names of winners very soon. The last thing that I’m looking forward to is actually a couple of months from now, but I’m looking forward to July 1st. 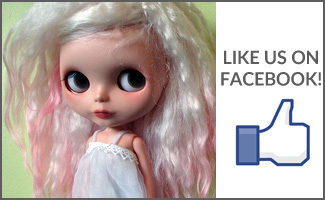 July 1st is BlytheLife.com’s birthday/anniversary. It will be BlytheLife’s 6th birthday and I have some very exciting plans in the works to help celebrate 6 years of BlytheLife. 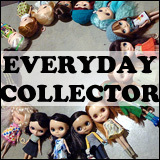 It’s kind of crazy to think that I’ve spent nearly 6 years writing about dolls. I started this website about halfway through my first undergraduate degree and since then I’ve completed another Bachelors, started working, and have seriously expanded the doll family. Speaking of which, I need to do yet another updated family photo since Lottie’s arrived. 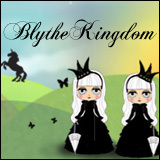 What are you looking forward to in your Blythe life? I’m interested in seeing the unboxing pics of your petite. That’s a pleasure I’m yet to experience. I’ll be unboxing a middie soon. She’s on her way 🙂 It was so nice to be introduced to people this month. I’ve made some new instagram friends. Thank you! I am of course looking forward to more entries here on the site and the unboxing. !